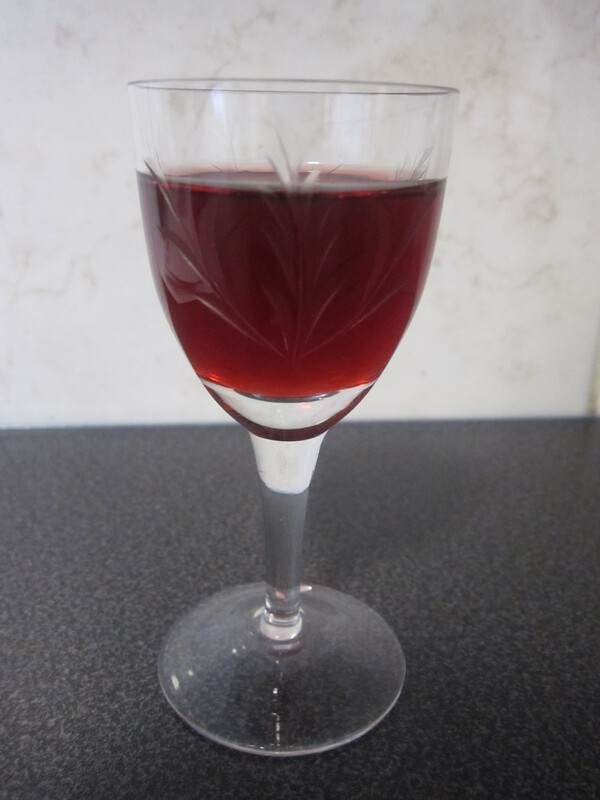 Way back when the weather was cold and I was skating around my kitchen in super thick socks and jumper on jumper I made a batch of raspberry liqueur with my Dad aka. Captain Oddball, you can check out the recipe here. Well since then my beloved liqueur has been tucked up in the dark hibernating, slowly getting sweeter and sweeter as the sun slowly started coming out more. Captain Oddball has been keeping a keen eye on the bottles for me and once a week rotating the bottles and checking the process. We left them for about 7 months in the dark but you could of strained and drunk the sweet liqueur about 3 months after making but to be honest I didn’t have to do it then as it was in the middle of my Brother’s Wedding Cake Prep!!! Now it’s a bit calmer I could focus on straining this little beauty. My dad bless him was a great help with this as I tend to be super clumsy. 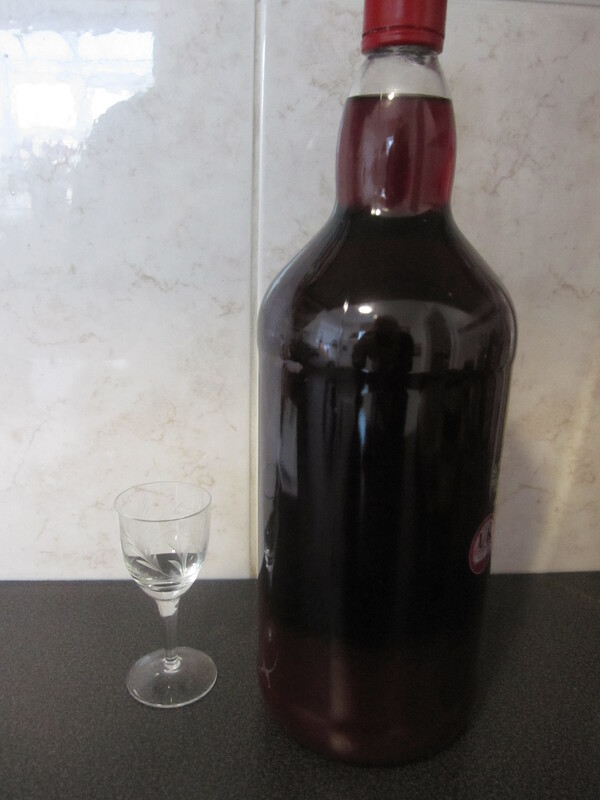 We strained the mixture through clean muslin cloth and poured into clean sterilised bottles. Try not to squeeze the pulp too much or you will get a cloudy end result. 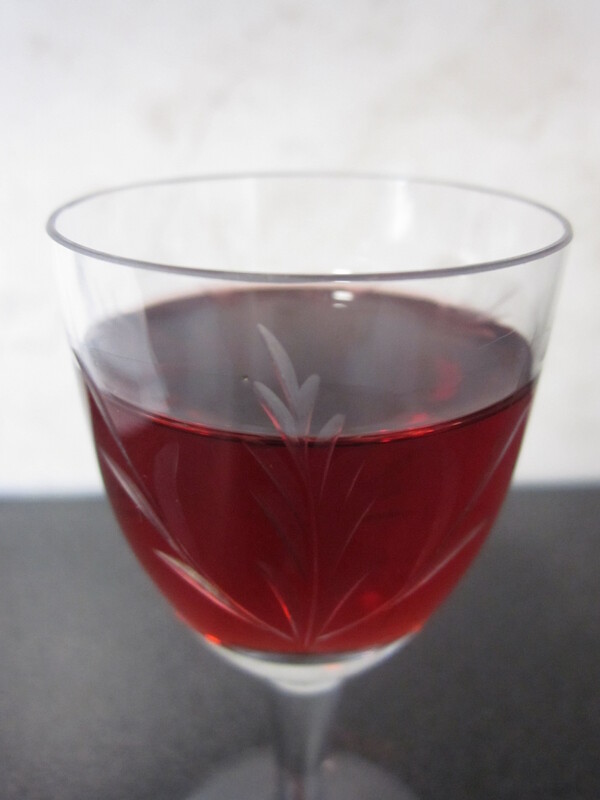 Serve this beautiful ruby liqueur as an aperitif on a warm Summer’s day. The flavour is dangerously not overly boozy more of fresh sweet and tart raspberries. Will be great in Winter for a drop of Summer sun. If it lasts that long!